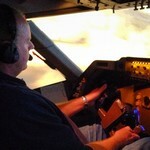 Greg is owner of the 747-400 simulator flying in this years Worldflight event. Located in a spare room in his house Greg has built much of the hardware and electronics himself and utilizes the newly released Aerowinx PSX combined with Lockheed Martin’s Prepar3D. 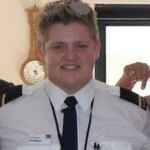 Greg was also a member of the flight crew for Worldflight Perth 2013 & 2014. Andrew developed a passion for Aviation from a very early age, with some of his earliest memories being aged 4-6, when his grandmother took him on regular visits, to Heathrow, to watch all the planes but especially, the Concorde, which really fascinated him. Later, aged 12, his parents decide to emigrate to Perth and his first ever flight was on a Cathay Pacific Boeing 747-100 into the old Kai Tak airport. This was a time when children were, commonly, invited into the cockpit by the crew. 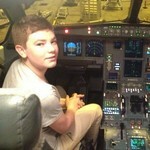 At the wondrous sight of the 747 cockpit, Andrew, was immediately hooked on the idea of becoming an airline pilot. 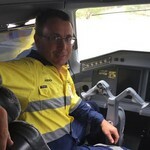 While that dream never eventuated due to all the pathways closing, with his eyesight issues, his passion for aviation has never waned and he has worked on and off in aviation, over the last 8 years, in Ground Handling and Ground Operations roles. 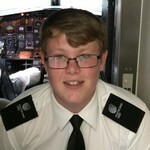 So, the opportunity to be a part of the Worldflight 747 crew is almost like a dream come true, for Andrew, and he is very keen to make the most of it in his endeavor to learn how to fly the “Queen of the Skies” as realistically as possible. Sion has been an aviation enthusiast for the past 10 years- after his first commercial flight over to Australia with his parents back in 2006. Sion graduated from high school in 2014 and has since gone into employment as a FIFO geotechnician in a gold mine, with the aim of this job to fund the expensive dream of becoming an airline pilot. 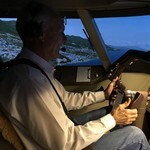 The World Flight mission is a wonderful opportunity to learn additional things about flying and more specifically the operations of a cockpit. But above all, having a good time and raising money for our rural heros- the RFDS! Bob has real world licenses from UK, USA & Australia and his first flight was in 1964! 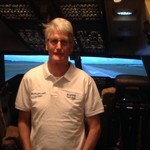 Bob comes to the 747 crew with a wealth of experience having been a British Airways pilot from 1970-2003 (33 years) flying Boeings 707-436, 707-336, 720B, 737-236 & ADV, 747, 757, 767, 747-436. He also has experience in Pa-28-180 Cherokees, DHC-1 Chipmunks and B-95-D-55 Barons among many others. Bob started flying from airstrips and farm fields more than 30 years ago. He currently owns a Maule M5-180C, an Aeronca 7DC Champ, two Fournier RF4Ds and the prototype Fournier RF47. He is also experienced in maintaining and overhauling airframes and engines. Bob holds both British and an Australian citizenship and has homes and hangars in both England and Australia. Having previously been a member of the WorldFlight crew in 2013 in a 777 simulator, Lesley is excited to be involved with the 2017 Royal Flying Doctor Service fundraiser event in a 747 simulator. Lesley worked in a 777 simulator for three years and thoroughly enjoyed learning about jet aircraft and has enjoyed the challenge of converting to the 747 simulator. 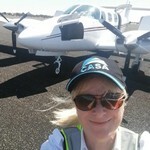 Lesley holds a private pilot license with multi-engine endorsements, tail wheel endorsement, basic aerobatics training and unusual attitude/upset recovery training and owns a Cessna Crusader T303 twin engine aircraft. She completed all the commercial pilot theory subjects in January 2015. Having been fascinated by flight since the age of about six, Lesley built many Airfix model planes as a child and then progressed to remote control models later in her teens. At age 19 Lesley started flying gliders and about ten years later converted to powered flight. I have been interested in flying since childhood. This was initially sparked when around 1968, I had the opportunity along with my father, to fly into Perth airport from a wheatbelt town in a Cessna 172 with one of my father’s’ friends. Then when FS98 came along, I could see the benefit in simulator training. This led to building consoles and keeping up with each software release for my cockpit setup at home. 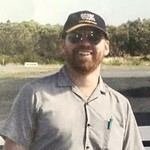 I eventually took up real world flight with a TIF and then had flying lessons in 2000. Sim flying assisted me to reach solo after 8 lessons. After building consoles, I sourced a Cessna 172D fuselage for a cheap price and built my own static sim which I use at home. Technology is also an interest: Oculus Rift is changing this hobby through VR flight. I was interested in Worldflight years ago when the 777 group started, but couldn’t commit due to work commitments at Network10 as a broadcast engineer . Now made redundant, I have found this opportunity to come on board – gratefully accepted.